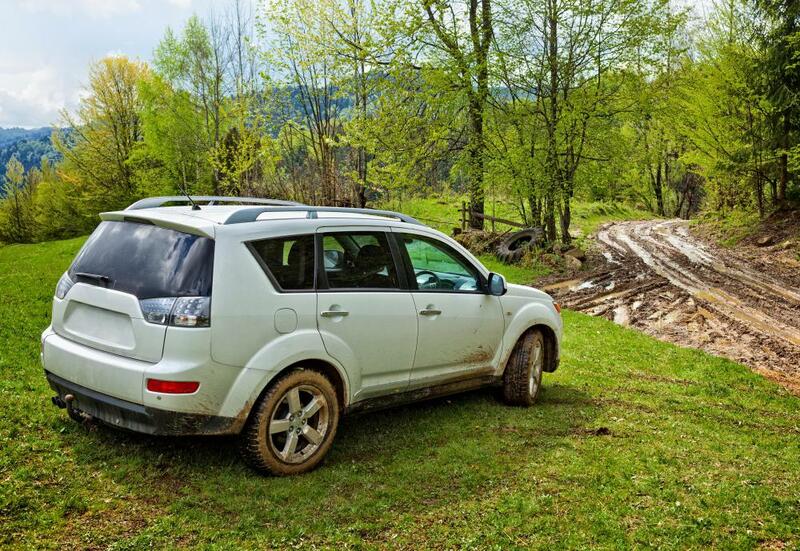 Some SUVs feature all wheel drive for driving through rough or slick terrain. A viscous coupling is a part found in the drivetrain of an all wheel drive vehicle. Although “all wheel drive” is a term that is used rather loosely, technically speaking an all wheel drive vehicle is one that runs in two-wheel drive under normal conditions, but automatically switches to four-wheel drive if the front wheels start to slip. The viscous coupling is basically the part that tells the back wheels when to kick in. The viscous coupling is based on the principles of a hermetic container. The viscous coupling is basically a cylinder with a shaft, or axle, protruding from either end. Inside, there are plates attached to each shaft so that they spin alongside each other. One axle and set of plates turn in time with the front wheels, and the other axle and set of plates turn in time with the back wheels. The truly ingenious feature of the viscous coupling is the fluid inside it, which is what allows the coupling to do its job and switch to four-wheel drive when needed. When the friction is low, this fluid flows very easily; however, when the friction increases, the fluid stiffens up, creating resistance instead of lubrication. Once the friction drops off again, the fluid will go right back to its thinner state. Remember, the viscous coupling contains two plates, each attached to a shaft: one that is turning with the front wheels, and one that is turning with the back wheels. As long as the plates are spinning at the same speed, the fluid stays thin, and the car remains in front-wheel drive. However, the moment the front wheels start to slip, the connected shaft – and therefore, the plate that is attached to it inside the viscous coupling – starts to spin much more quickly than the other one, causing friction. Instantly, the fluid thickens, causing the first plate – the one connected to the front wheels – to drag the other one – the one connected to the rear wheels – along with it. Along with the plate, the axle that goes out to the rear wheels is also being turned. In this manner, the viscous coupling allows the power from the engine to be transmitted to the rear wheels, as well as the front wheels, whenever the front wheels are slipping. What Is a Viscous Fluid? What is a Bull Wheel? What is a Friction Drive? What is a Glad Hand? what do you means by coupling of two shaft? When a Subaru Forester (2003) becomes bogged in sand, is the VC able to cope with trying to drive the vehicle out. What is the frictional effect (heat) when this action takes place? Can a VC be burnt out?